Hardware User Interface Design | Flickr - Photo Sharing! 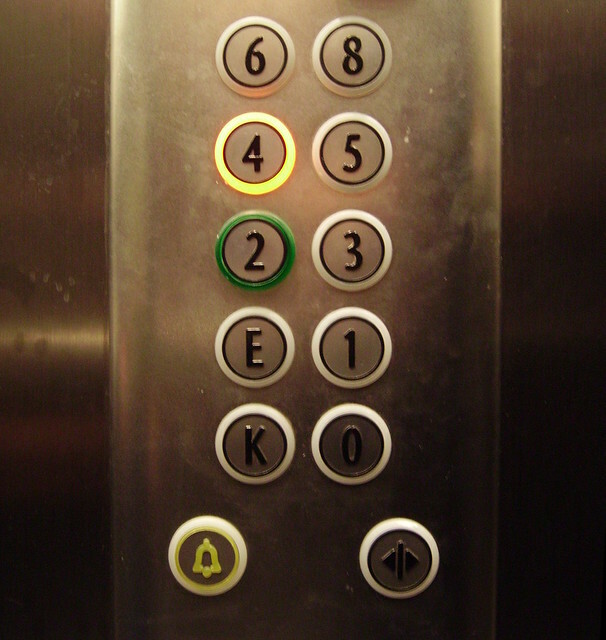 Pop quiz: you're on your way out from a meeting at a client's office - which button do you press in the elevator to get to the exit on the ground level? Is it "E", is it "1", or perhaps "K" or why not "0"? And whatever happened to floor number 7? Is the 8th floor just floating up there? jaremfan, hiroyuki_f, and 千鳥 added this photo to their favorites.